The Good Cheer Fund is registered in the State of South Carolina as a part of The Post and Courier Foundation. The Fund has its own bank account and funds received are deposited to that account, providing separate accountability for Good Cheer Fund receipts, and the funds are not commingled with any other funds of the newspaper. 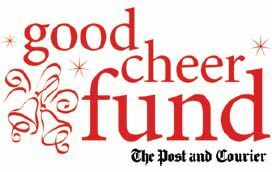 In practice, The Post and Courier Foundation actually disburses the funds to the agencies on behalf of the Good Cheer Fund, the Good Cheer Fund providing reimbursement to The Post and Courier Foundation. The accounting is combined annually with that of The Post and Courier Foundation for the purpose of registration and compliance with federal tax regulations. The Good Cheer Fund has been the recipient of several endowment gifts from estates. The funds are recorded as a “Restricted Fund” of The Post and Courier Foundation and are deposited with the Foundation. Annually, the Good Cheer Fund receives a prorated share of the interest, dividend and capital gains of the managed fund, attributed to the Restricted Fund, which is deposited into the Good Cheer Fund and distributed along with the other funds to the agencies. Catholic Charities of South Carolina is the social outreach arm of the Catholic Church. We were founded in 1945 by the Catholic Diocese of Charleston and have since grown to encompass the entire state of South Carolina. Our Coastal Regional Office covers Charleston, Berkeley, and Dorchester counties by providing disaster services, wellness services, pregnancy and family services, and homeless and outreach services. So far this year we have provided 66,019 meals through our food pantry, 200 seniors with dentures, 110 children with backpacks and supplies for school, and repaired/rebuilt 60 homes impacted by disasters in our region. Catholic Charities also provides Thanksgiving dinners, food gift cards, toys, and other emergency assistance during the holiday season. For more information, please contact Robyn Karoly at 843-531-5535 x 31. Founded in 1790 as the Charleston Orphan House, the Carolina Youth Development Center's mission is to empower and equip our community's most vulnerable children by providing a safe environment, educational support, and career readiness, in collaboration with families and community partners, serving more than 1,200 children and families each year. In addition to CYDC's emergency shelters for child victims of abuse and neglect, outreach programs include Big Brothers Big Sisters, Family Strengthening, and the Bakker Career Center, which prepares youth for success in adulthood through job readiness and life skills. For more information, contact: Kelly Kelley | email: kkelley@lcfbank.org | phone: (843) 747-8146 x154 or visit: www.lowcountryfoodbank.org. 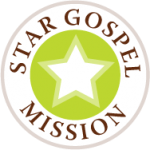 For 115 years the Star Gospel Mission has been ministering to the poor, the needy and homeless men throughout the Low country. The Mission provides transitional housing for up to 28 men who are seeking to make significant changes in their lives and experience a transformation that will place on the right path in life and provide them with a much brighter future. The Mission also offers seasonal assistance to Tri-county residents with emergency rent payments, utility bills, medical expenses, dental and eye wear assistance, emergency transportation needs and food gift cards, all through the generosity of the Good Cheer Fund. For more information, contact Rev. William Christian at 843-722-2473. In addition to the partnership with the Good Cheer Fund during the holiday season, the CLF sponsors the annual Charleston Leadership Prayer Breakfast each fall offering a morning of prayer, music, and worship.